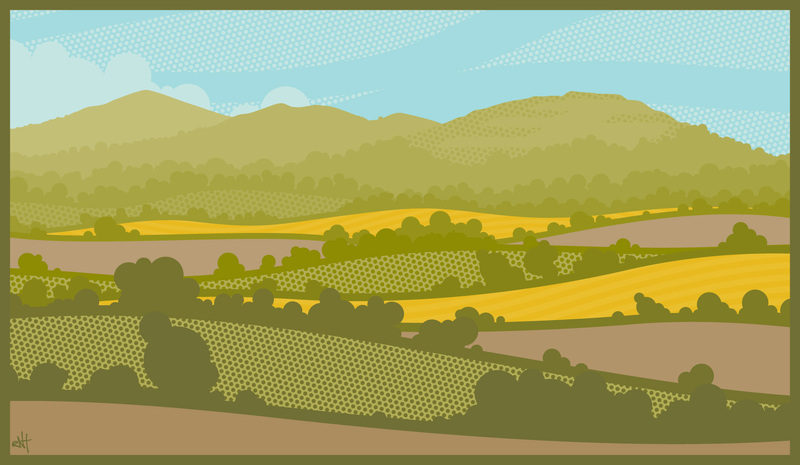 A commissioned vector illustration of a view across the Malvern Hills. This design was created with Illustrator using only flat colours, geometric shapes and patterns to create a modern slant on the classic landscape scene. The image was printed large format on high quality cotton rag and custom framed for a very happy Malvern-based client.